With just three Tejas delivered until this year out of the 20 ordered in 2013, the IAF’s complaint that the Defence R&D Organisation (DRDO) had taken too long in development gave way to the charge that HAL was not building the fighter fast enough to replace the IAF’s retiring MiG fighters. HAL’s manufacturing shortfall became even starker last November, when the defence ministry cleared the acquisition of 83 more Tejas 1A fighters. This successor to the Tejas Mark 1, with four specified capability improvements, is required to enter production in 2019. This plan hinges on establishing a high-capacity assembly line. Now, finally, HAL’s Tejas assembly line in Benguluru is meeting its targets. On a visit by Business Standard to the Tejas assembly line, HAL chief T Suvarna Raju has confirmed that eight Tejas fighters will roll off the line this year – the rated capacity of the assembly line. Furthermore, with an additional investment of Rs 1,231 crore sanctioned for enhancing capacity, the Tejas line is projected to build 10 fighters in 2018-19; and 16 Tejas Mark 1As each year from 2019-20 onwards. Thereafter, the line is expected to build the Tejas Mark II fighter, an advanced variant of the Tejas with a more powerful General Electric F-414 engine and upgraded avionics. Outsourcing to private defence firms has been key to achieving HAL’s production targets. “HAL is now focusing mainly on putting together large assemblies that are built and supplied by private aerospace companies. 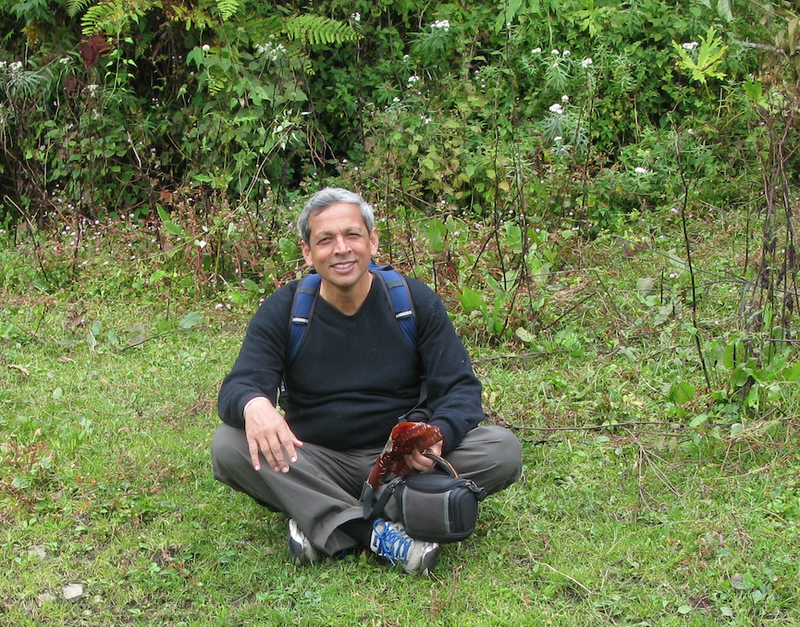 That has allowed us to speed up work exponentially”, says Raju. HAL has created five “Tier-1” suppliers that each build a part of the Tejas. The front fuselage is supplied by Dynamatic Technologies Ltd, Bengaluru; the centre fuselage by VEM Technologies, Hyderabad; rear fuselage by Alpha Tocol, Bengaluru; wings by Larsen & Toubro, Coimbatore; and the tail fin and rudder by National Aerospace Laboratory and Tata Advanced Materials Ltd.
Each of these Tier-1 suppliers sources components and sub-assemblies from lower-order Tier-2 and Tier-3 suppliers, creating an aerospace industry around the Tejas. In addition, a range of equipment is sourced from other private firms that are emerging as players in the aerospace realm: avionics racks and air intakes from Lakshmi Machine Works, Coimbatore; electrical panels from Amphenol, Pune; slats and elevons from Aequs, Belgaum; pipelines from Rangson, Mysore, and precision mechanical assemblies from Sri Koteswara Cam Systems, Secunderabad. 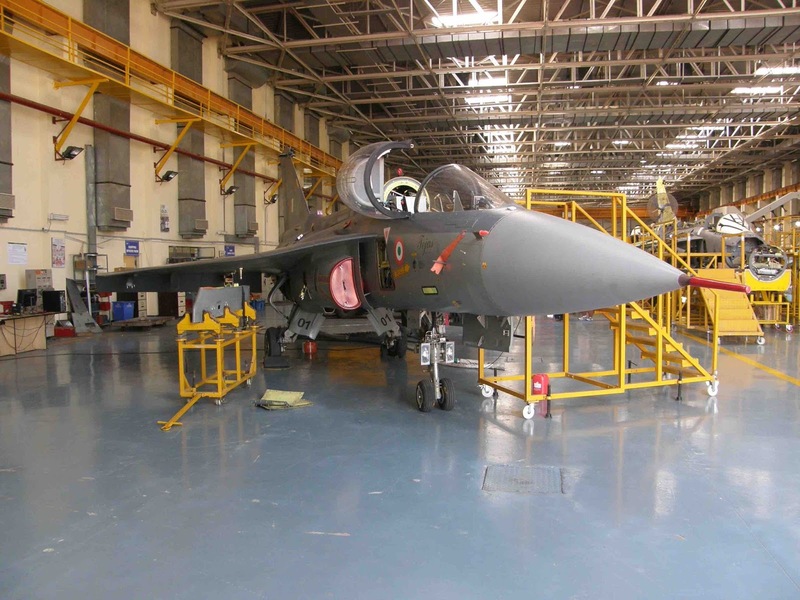 HAL plans to eventually outsource 69 per cent of the production of Tejas structural modules, with just 31 per cent of the work done in-house – consisting mainly of assembly and equipping work. A visit by Business Standard to the Tejas production hanger reveals the most technologically advanced production line that HAL has ever set up – significantly more high-tech than the Hawk advanced jet trainer line that was established with BAE Systems. The production jigs, on which Tejas components are fabricated, are calibrated with lasers to an accuracy of 50-80 microns (one micron is one-thousandth of a millimeter). This ensures repeatability, which means that every component coming off a jig is precisely the same, and can be switched across aircraft. There are also robotic machines to drill the thousands of holes that are required in each Tejas’ carbon “skin”. These robots drill in two days what manual drillers earlier took two months to do. “It earlier took us 19 months to build a Tejas, from start to finish. This is now down to 11 months, and we will be building each Tejas in nine months by September this year”, says Raju. 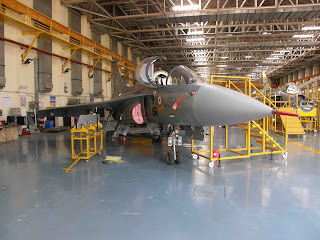 HAL’s plan for expanding Tejas production to 16 fighters per year involves establishing a second assembly line. This has physically replaced the Hawk trainer line that is close to completing delivery of its orders. The cost of Rs 1,231 crore is being half-funded by HAL, with the IAF and navy picking up the tab for the other half. Thank you Ajai. Indigenous capabilities have been largely ignored for larger items between tour pasand netas and import pasand forces. Hopefully at least now, IAF will stop looking at desi maal as Tata cars and hanker for a second-rate aging platform like the single engine Saab 9-3 (anyone who has owned one will testify to the complete lack of reliability and of course, looks). - Anon. Coward, ex-Armchair Marshall. When involved with ATF program the teams were told that the plane has to have stealth , to quietly creek in enemy territory and precisely bomb enemy targets. If the opposition responds by scrambling some planes to have the ATF with best possible AESA long range radar and equipped with long range air to air missiles which can shoot down enemy planes. The best stealth plane today is B2 bomber which has sensors to show radar coverage and it flies smartly between that in a zig zag route with active jammer that essentially blocks the radar. Why was SR 71 not ever shot down and so is F15 eagle never ever shot down , the real reason is speed and thus it is essential to have speed in the fighter. Tejas can go with GE 414 EPE engines and and carry 5500 to 6000 liters of fuel and have a suffice to range , small enough with composite structure to get in enemy territory precisely bomb the targets and then much lighter with half the fuel gone and bombs gone can supercruise with 78 KN of dry thrust and do sustained super cruise and if required can use after burners for a minute or less and safely return home can shoot down any enemy planes coming close to it. I still believe they should be used a wolf pack of 5-6 planes accompanied by high end fighter like Rafael or F35. I am happy that jaguars are fitted with AESA radar and it is matter of time Tejas comes up with AESA radar and 28 sensors integrated. I was similarly happy that hacks are turned into super hawks and have a very modern display screen.the same technology would come to Tejas. Let someone be subcontracted to built this part and all part come in a modular sections with preinstalled wires with plugs and piping already made. This would speed up installation and would make reapairs very easy as they can change the unit and the section can later be re inspected and repairs be made. HAL is good at integrating which it should do so and roll out a plane every three months so that 12 x 4 planes that is 48 planes be rolled out. Start manufacting all components , ask GE to make engines in Bangalore , ask Ella to make radar in India and each and every part made by some private contractor with very strict quality control and time frame the way they run apple assembly in china or intel assembly in Penang. Make at least six hundred planes as they would be cheap to upgrade and maintain that costly war birds from other manufacturers which can be assigned for their selected roles. I am here not talking of air superiority but air dominance. I am sure Pvt company involvement will boost it, MoD need to allow Pvt concerns Research and develop in Fighter jets, submarines and Torpedoes and Longer Ranger Bombers Aircraft.that will achieve a greater heights in Make in India. It is good to use Tejas line finally moving . This product is incredible . It has research technology development and product development all in one single project . Elsewhere like in US we could have DARPA/NASA doing research , then two companies making prototypes fir technology demonstrators, finally one flying ! I do hope this small machine does have all modern electronics like MAWS , IRST over a period of time. None of these technologies existed when Tejas was defined. After Dhruv's success , LCH, Tejas , ATAGS seem to heading towards a success. Maybe fundamentals were missing in IJT, Arjun. We need to study the causes & rectify. Will Pvt Company manufacturing front fuselage, do the whole fitting out like radome, radar, cockpit or only manufacture the bare shell which will be fitted out at HAL? Thank you Ajai! A few pictures of the assembly line would have also been great. One question- where are the 20 FOC standard Tejas Mk1 fighters in the table? You listed 20 Tejas Mk1 IOC fighters and then immediately went on to the 16 Tejas Mk1A fighters for the fiscal year 2019-2020. Weren't 16 Tejas Mk1 FOC fighters supposed to be built for the IAF since 20 FOC standard Tejas Mk1s had already been ordered prior to the 83 Mk1As? The production time lines are so far into the future that you wonder if the world will still exist, by the time enough Tejas numbers are ready to fight in a war. I guess 6th gen aircraft will be actively flying when Tejas MkII takes to the skies. That's 8 in less than 8 months left in this financial year. The SR71 was a reconnaissance plane. It couldn't do MACH 3 at the kind of altitudes that a fighter-bomber has to fly to perform its job. This is not to discount engine power. But TEJAS is a small bird without large internal fuel stores. If you go full load out on it or any other warplane, super cruise, stealth, super manoeuvrability and all that jazz just isn't going to happen. We're a country with chalta hai attitude, we don't act, we REACT!!! Till we don't make stuff on our own, we will always be beggars with second grade technology. We on the other hand are really happy buying stuff with Zero tech transfer...not a good way to become a super power!! Supposed to be 20 Mk.1 IOC-II, Mk.1 20 FOC, and 83 Mk.1A. Total 123. Missing 20 Mk.1 FOC in your list. Good to know HAL is learning from its mistakes by off loading most of the manufacturing to other companies and concentrating on assembly. They should have learnt this from Boeing if they have studied their model of working. Waste of a long time and money. Why Indian baboos take so long to understand simple things of life.? ?